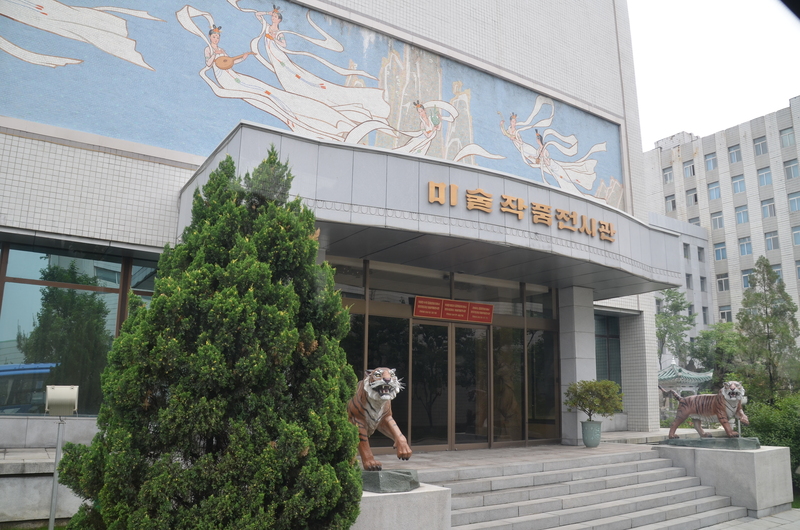 As we continued on our whirl-wind tour of Pyongyang, we visited the Civilian Movie Complex where North Korean films are made. 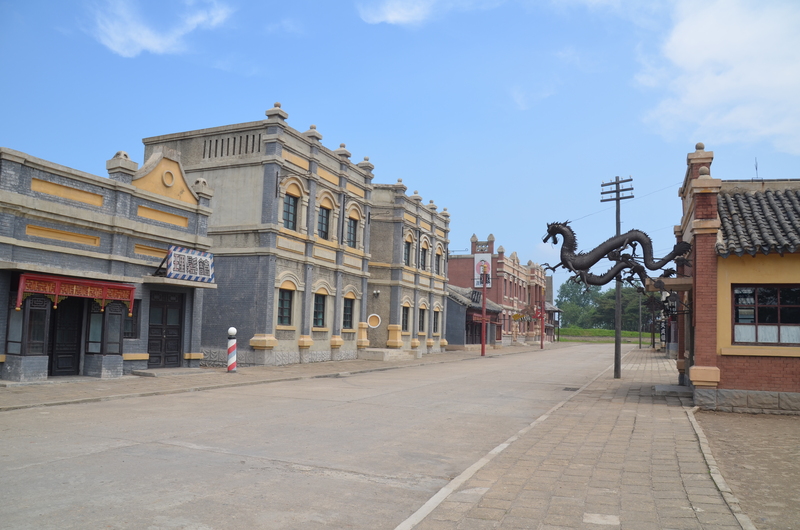 While walking around movie sets that resembled ancient Chinese, Japanese, and Korean villages and streets, we stopped at the European-American house and found a snack bar inside. 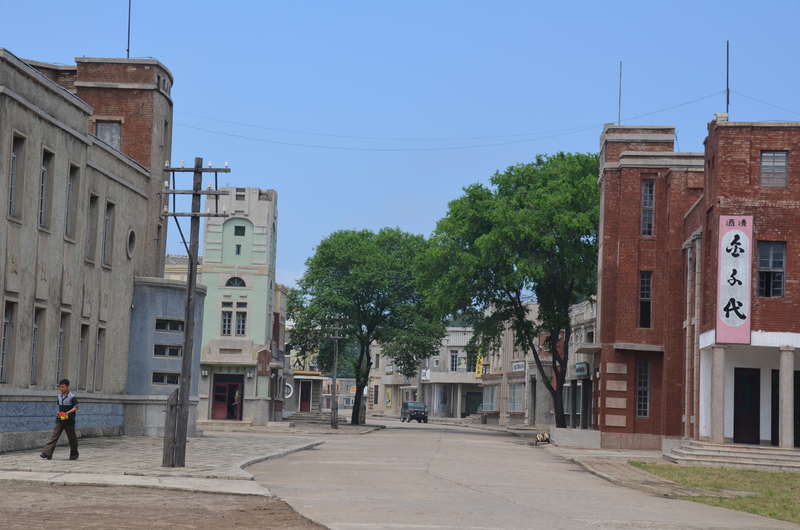 Now we were either enjoying an ice cream or soft drink treat on that movie set. And it was so good and welcome. 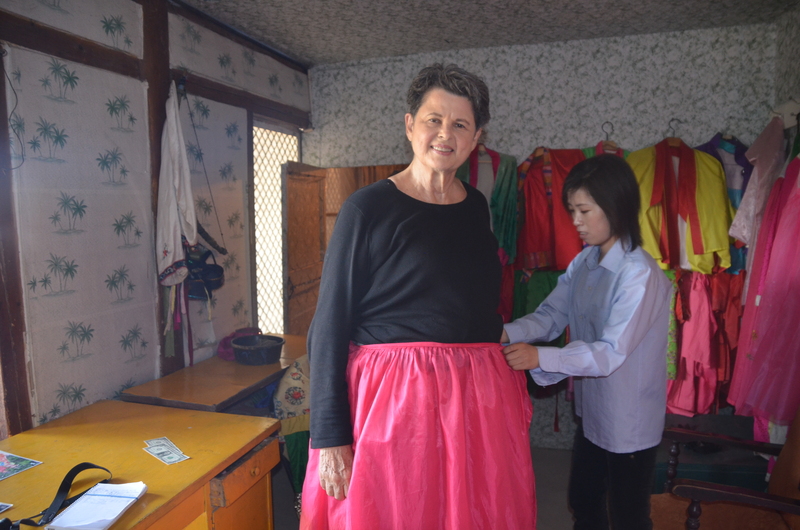 At the ancient Chinese movie set we visited the costume shop where we could select a costume to wear for $1 US. 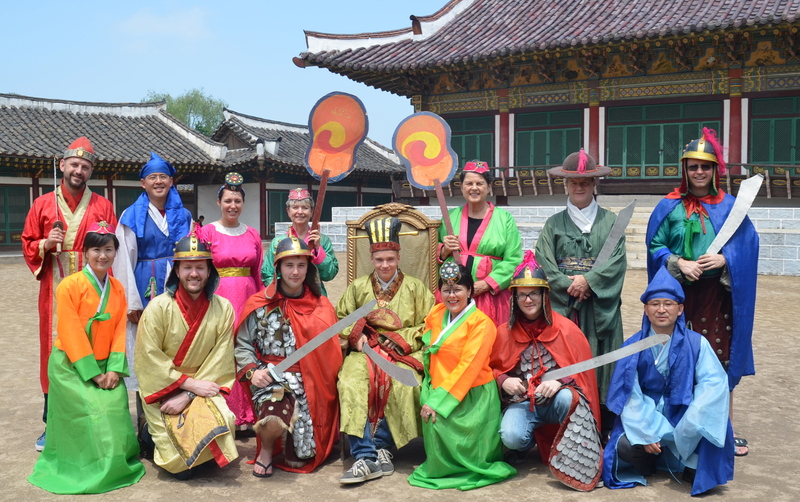 It was so much fun getting made into a character and all 12 and two of our guides had our group photo made in our “actor-actress” costumes. 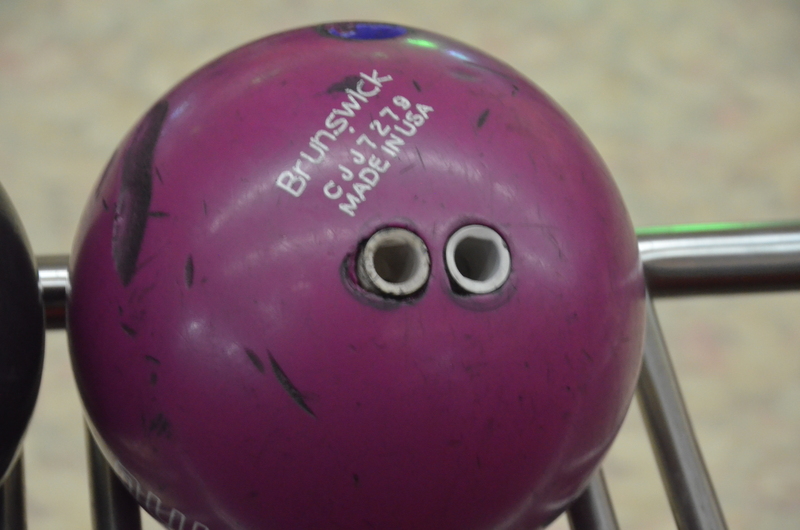 For other recreation we bowled at the Pyongyang Game Center and I was surprised to see that the equipment was from Brunswick and made in the USA. 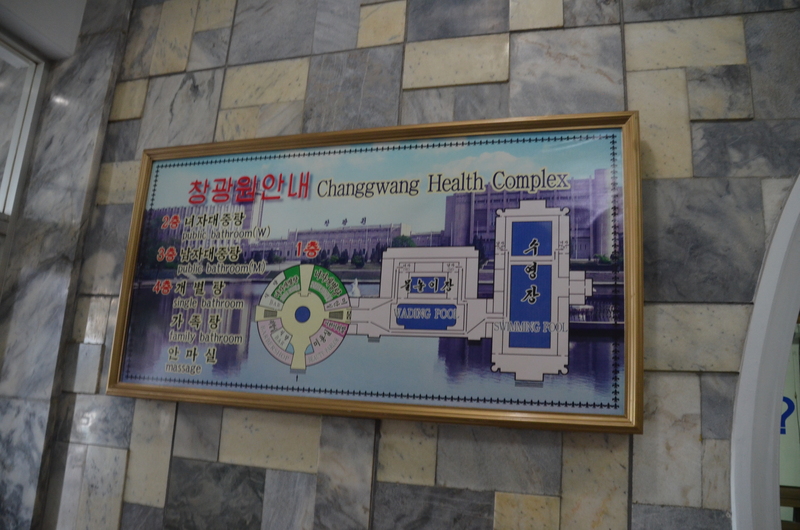 After the costume event, we went to Changgwang Health Complex, where North Korean families could exit refreshed from facials, haircuts, swimming, steam baths, showers, massages, and hot tub sessions. 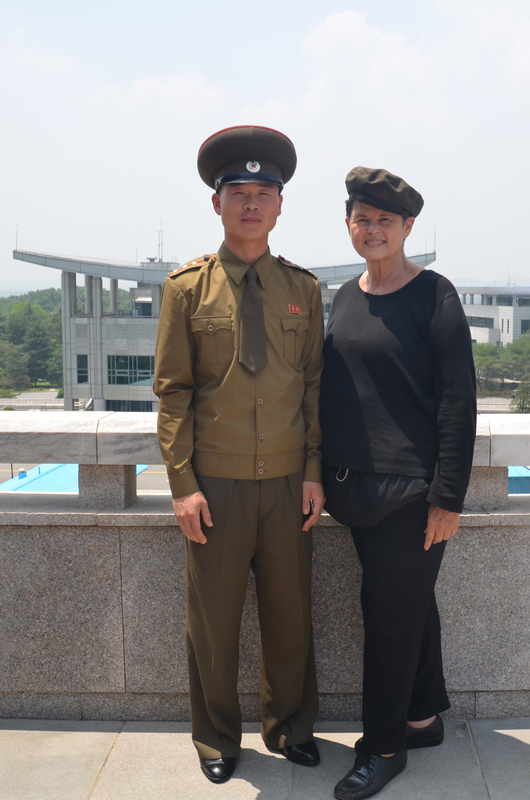 Several of our group participated in services along with the Pyongyang people. 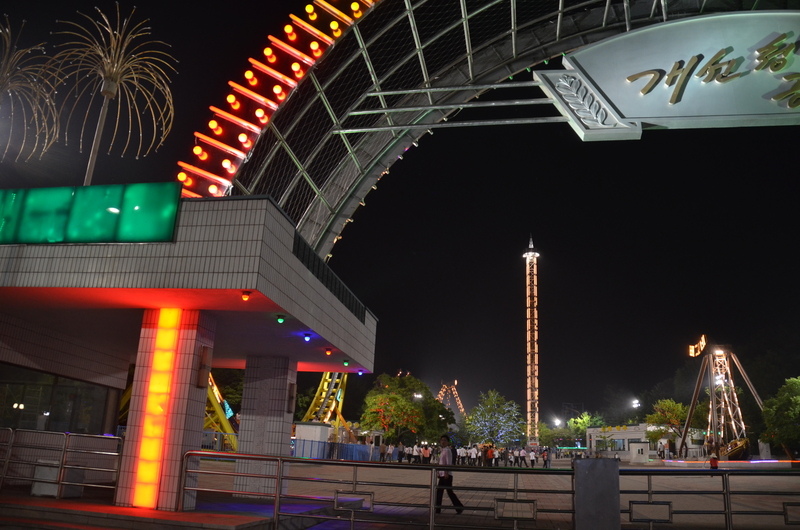 We also visited the Fun Fair Amusement Park in Pyongyang to experience over six heart-stopping rides, and we heard the happy screams from the riders. 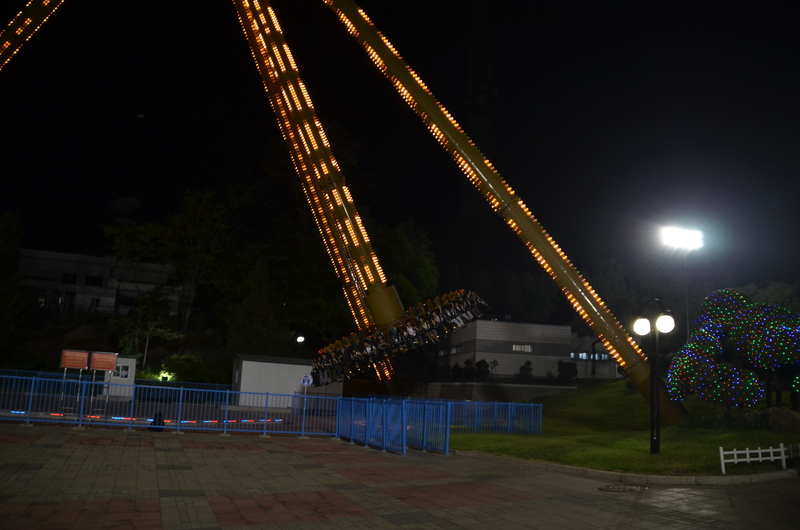 Even though it was dark, we could see some rides needing upkeep because they were illuminated. 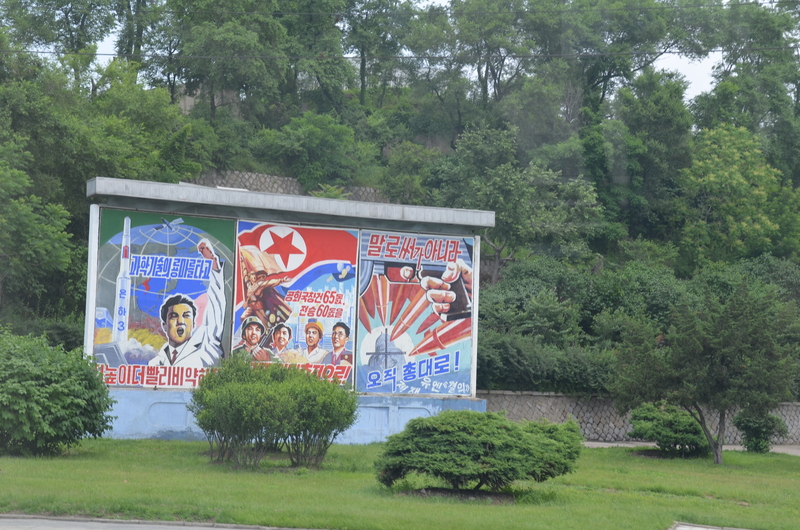 On the way to the Fun Fair, we saw the monuments beautifully bathed in light and the rest of Pyongyang was dark. We were told not to worry about the power outages because our hotels and places we visited had generators. And everything worked for us. 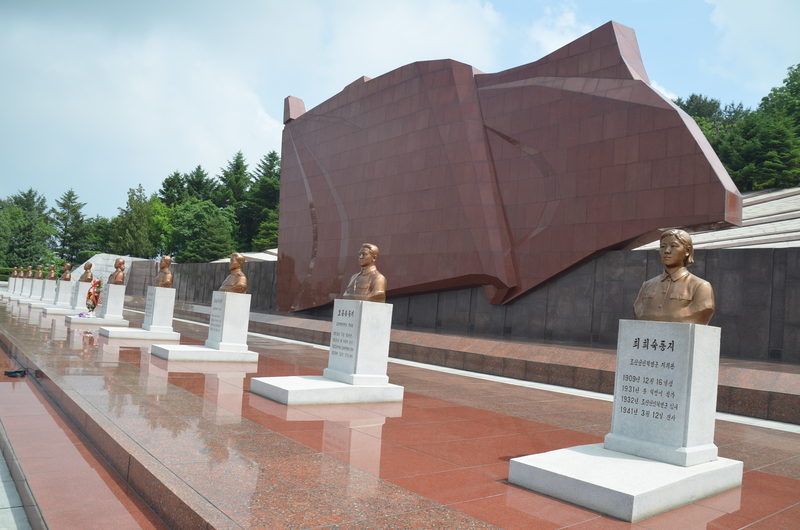 We visited the Revolutionary Martyrs Cemetery, built in 1975 and expanded in 1985, where all the graves were marked with the deceased’s bust in bronze. 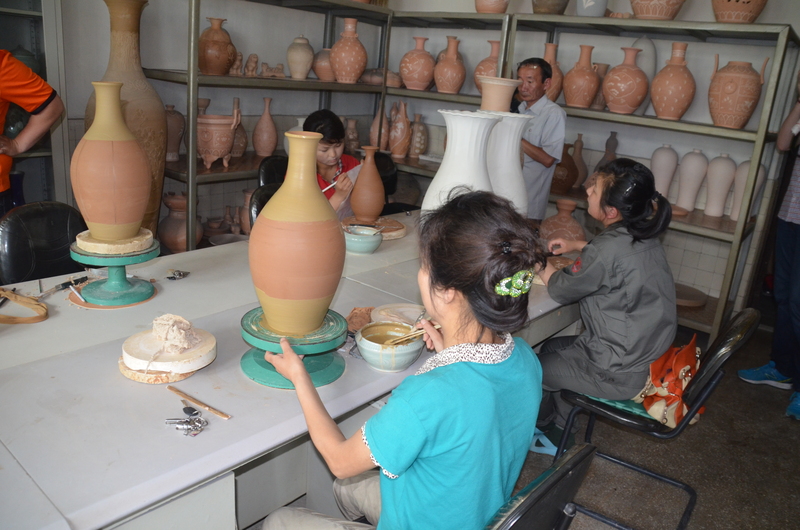 Flowers were blooming in pots and the busts were shining brightly in the sun. 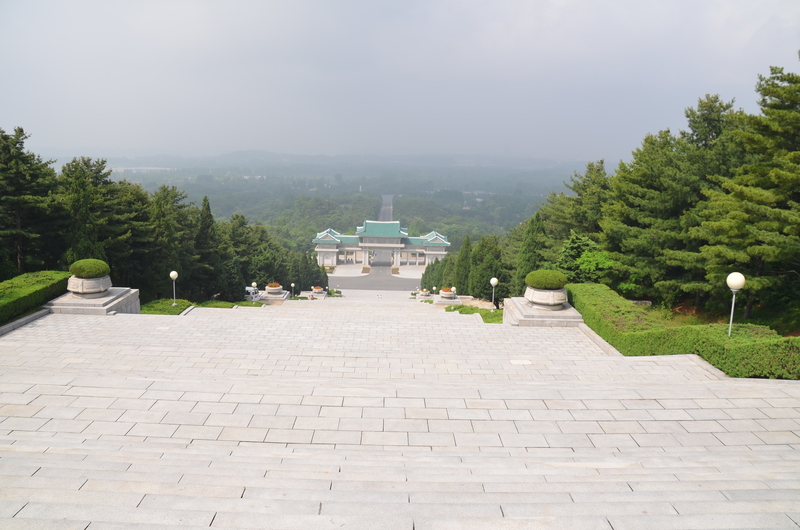 It was a very respectful and quality presentation for the hundreds of martyrs entombed there. 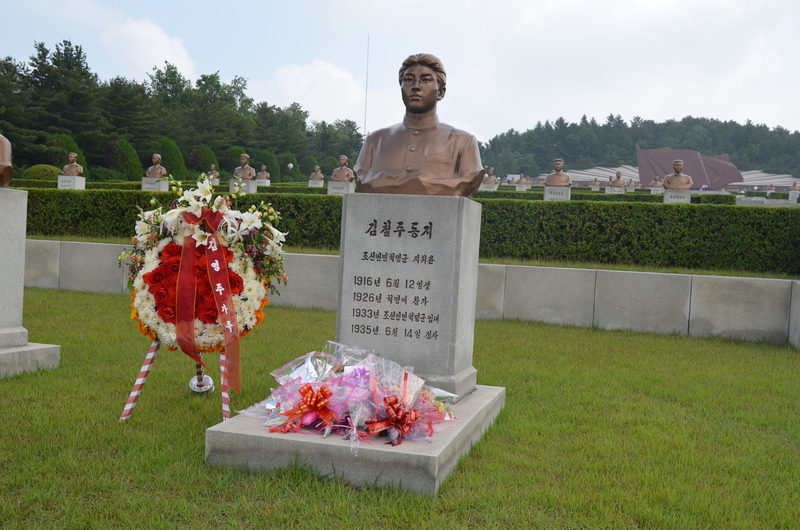 Kim Il-Sung’s mother and first wife are entombed in the cemetery. 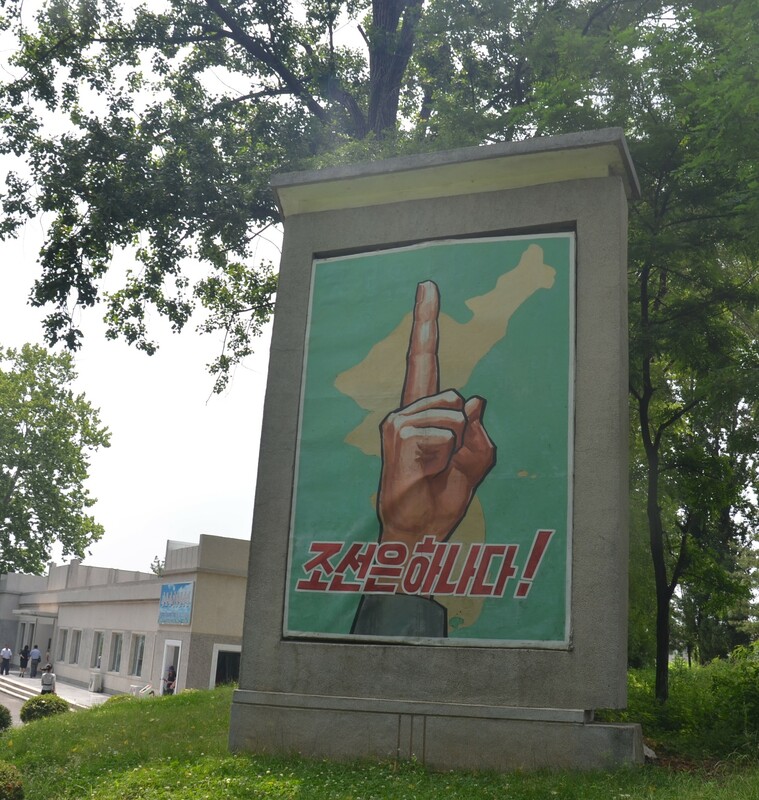 North Korea has a population of about 20 million and all people belong to a work group. When a job needs to be done, a specific work group is called to harvest, plant, or maintain rice or any other need in the country. Rice, potatoes, corn, and beans are the main cash crops. 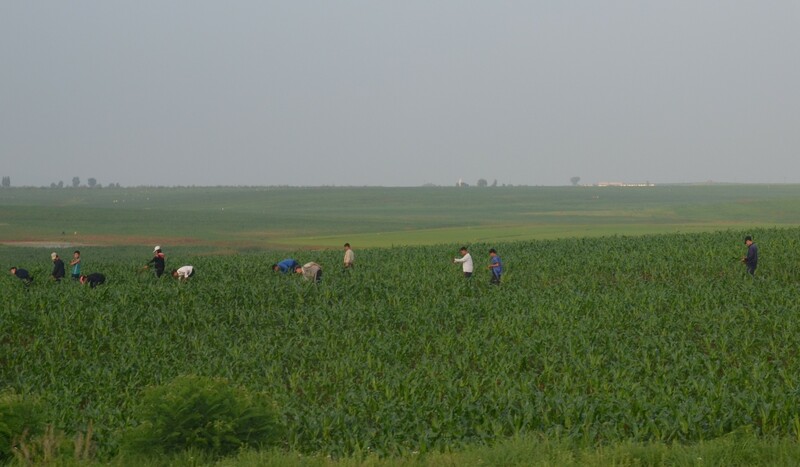 Outside the city we saw work being done by hand in gardens and fields with minimal equipment. 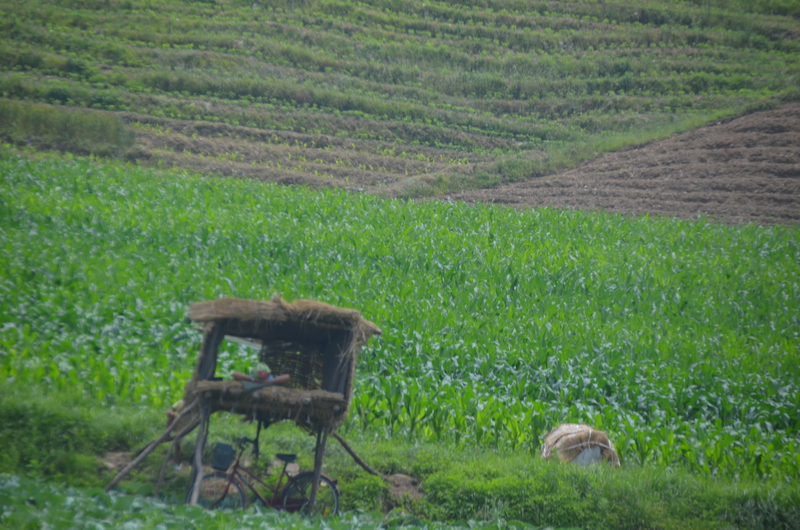 We saw a herd of cattle being led into the field to go about a day’s work in the rice fields to plow the fields 1-2 rows at a time with the farmer guiding the way. 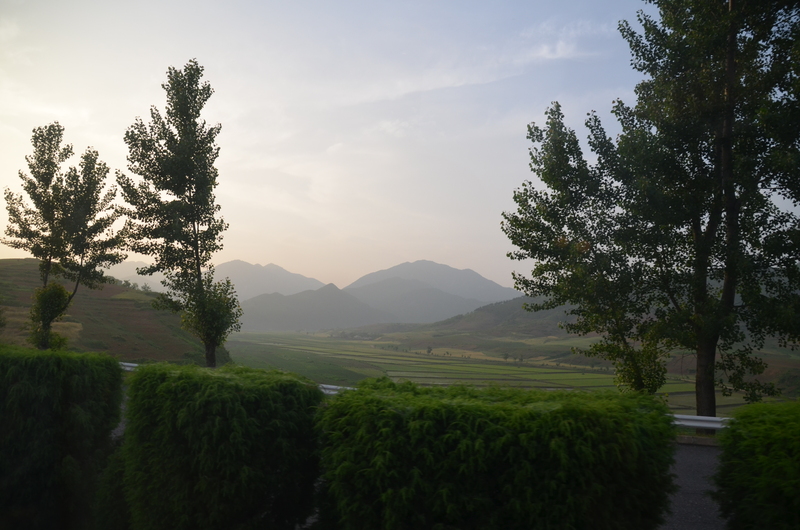 On the 2 1/2-hour trip from Pyongyang to the Demilitarized Zone (DMZ), we saw rice field after rice field right up to the 38th parallel line that divides North and South Korea. 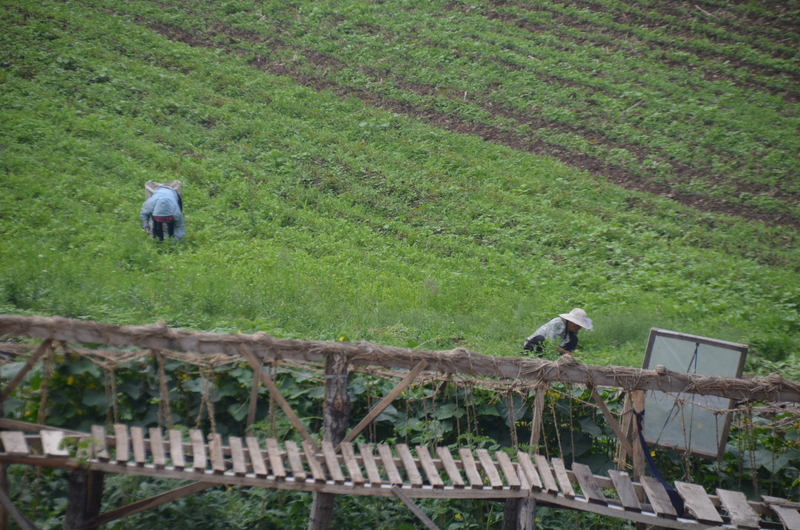 North Koreans are super-industrious and we saw them working everywhere individually or in groups. 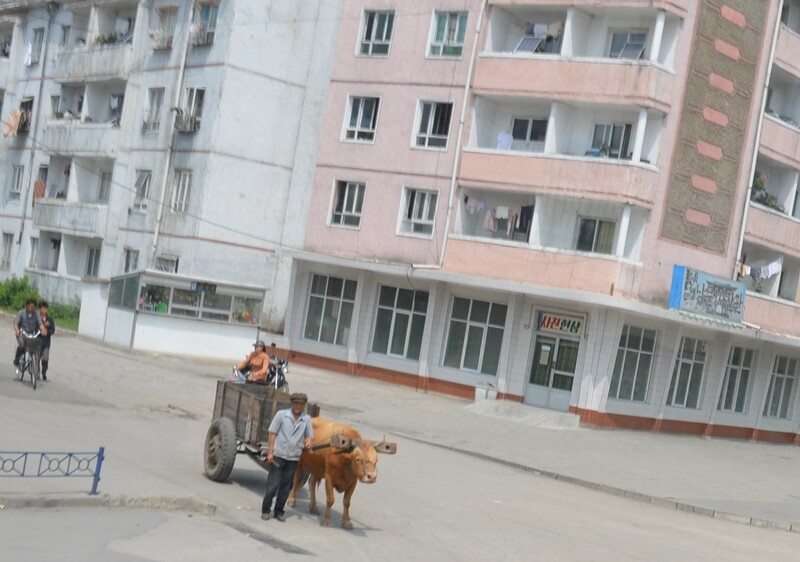 No one was idle or begging in the streets. 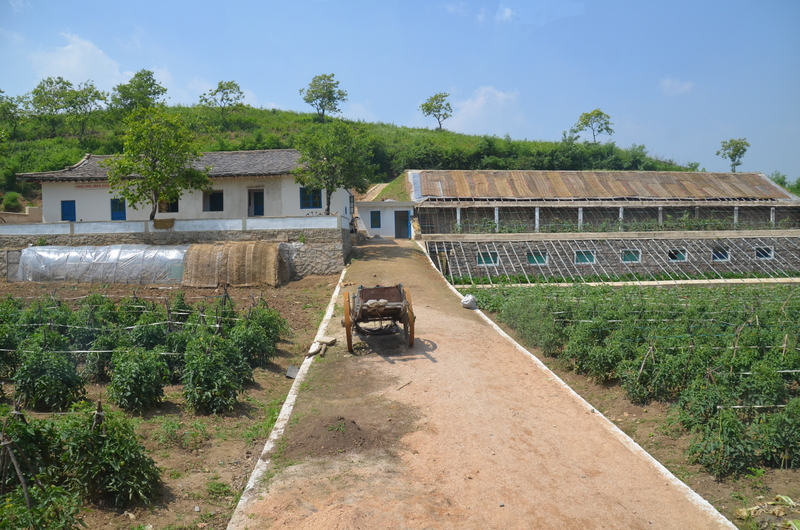 Two men in Kaesong, the capital of ginseng processing, were squatting and working a hand plow where one man pulled the rope towards him and the other man pulled the handmade wooden plow towards him, going back and forth, thus plowing a small strip of ground dirt. It looked like using a tug-of-war method to plow. 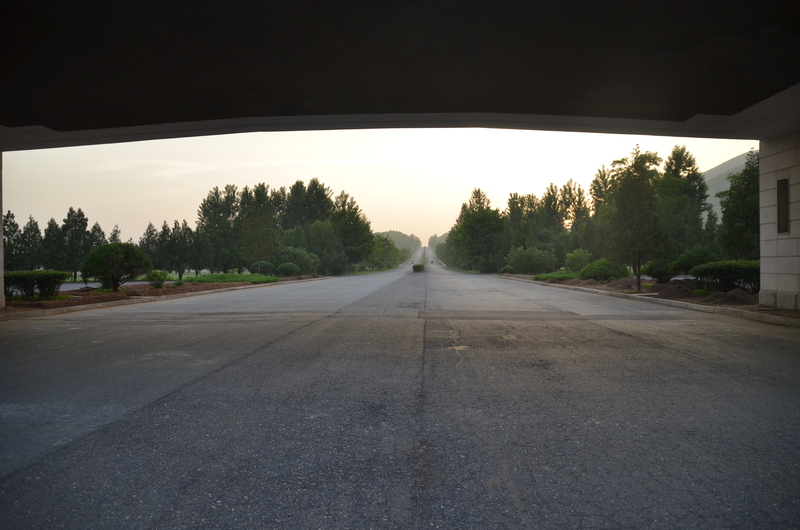 At the DMZ, near Kaesong, we saw the line that divides North and South Korea. 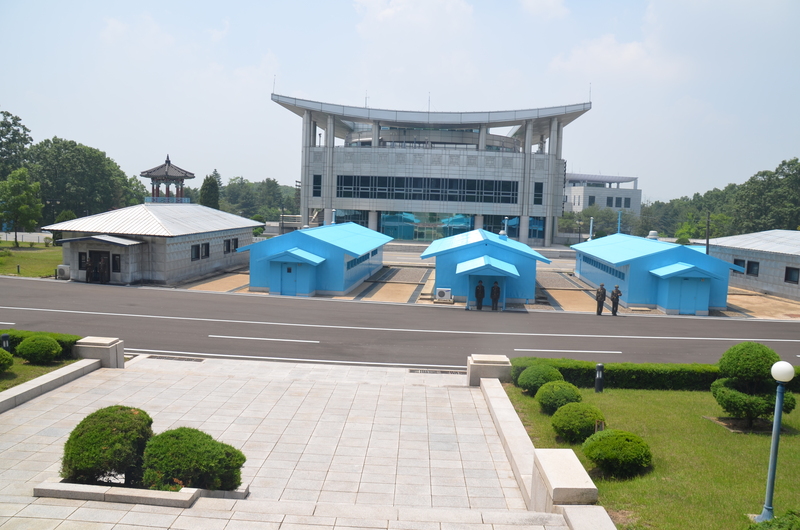 Inside the blue huts one could cross into South Korea. 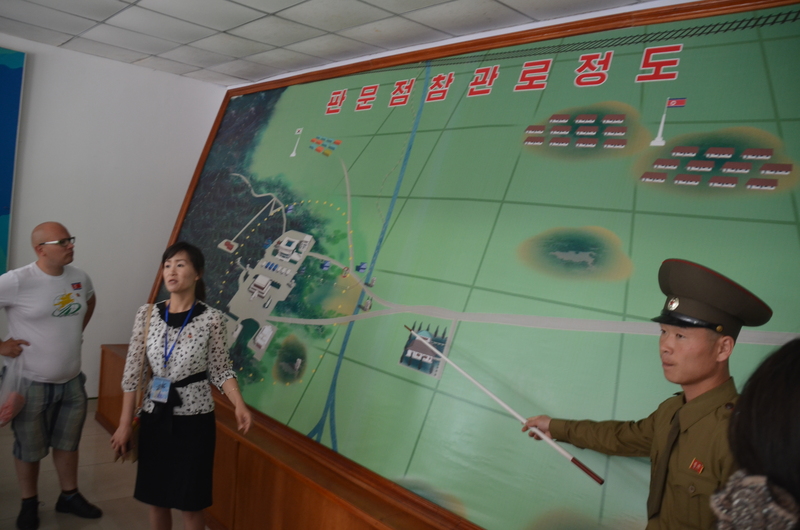 At the DMZ, we visited the museum where the Armistice Agreement ending the Korean War was negotiated from 1951 to 1953 and then signed. 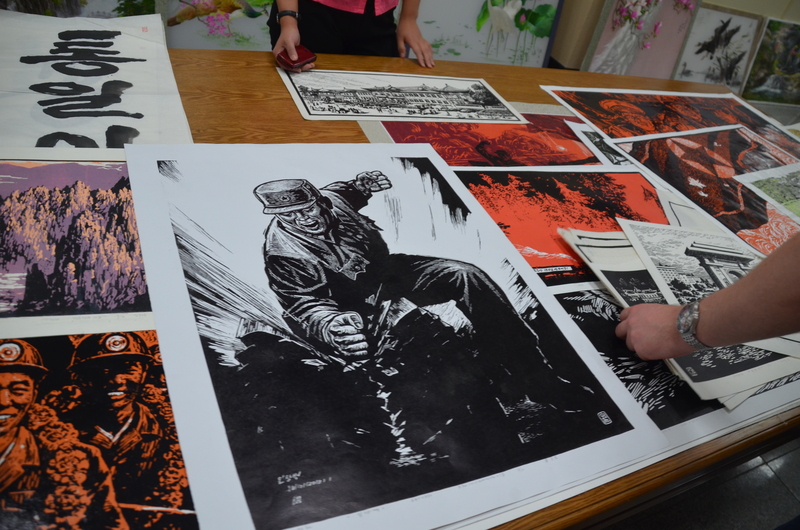 On display were photos, desks used in the negotiations, and the signed documents of the event. 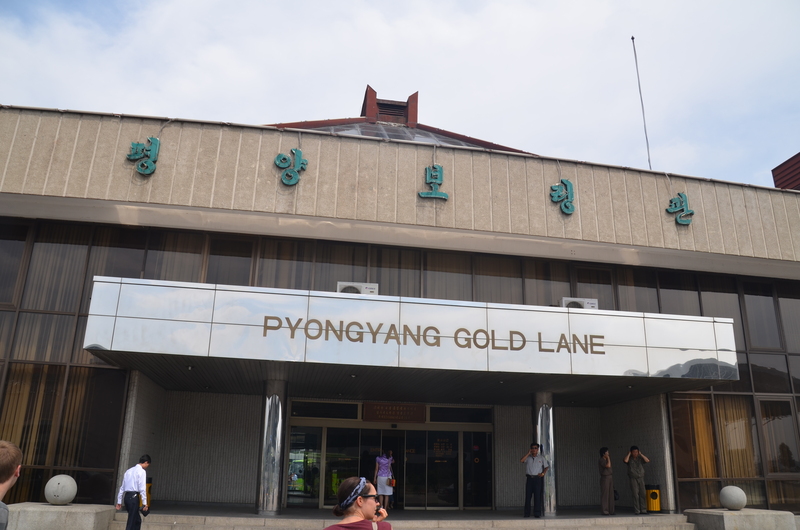 To get to this museum, we had to line up in 4 straight lines and proceed in order to the museum. So, line 1 went first, then 2 then 3 then 4. In the museum, we were free to look at all the displays. 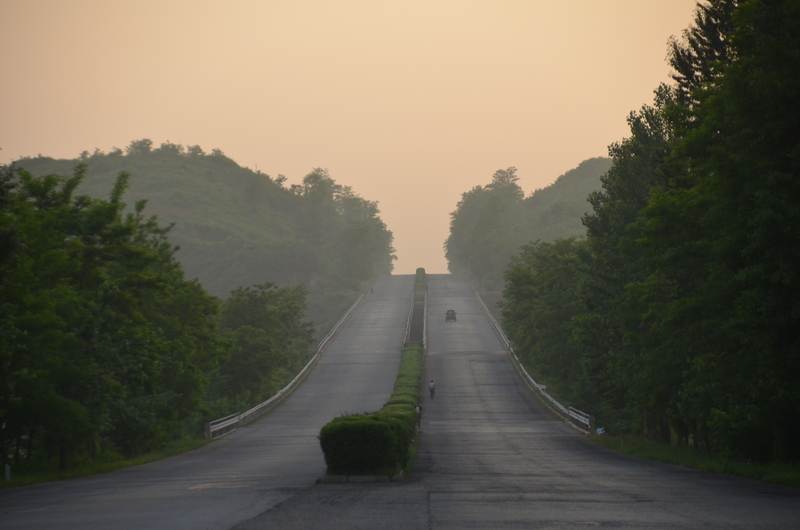 The road to the DMZ is in perfect condition with no potholes. Besides us, we saw only 3 other cars in the 2 1/2-hour trip. 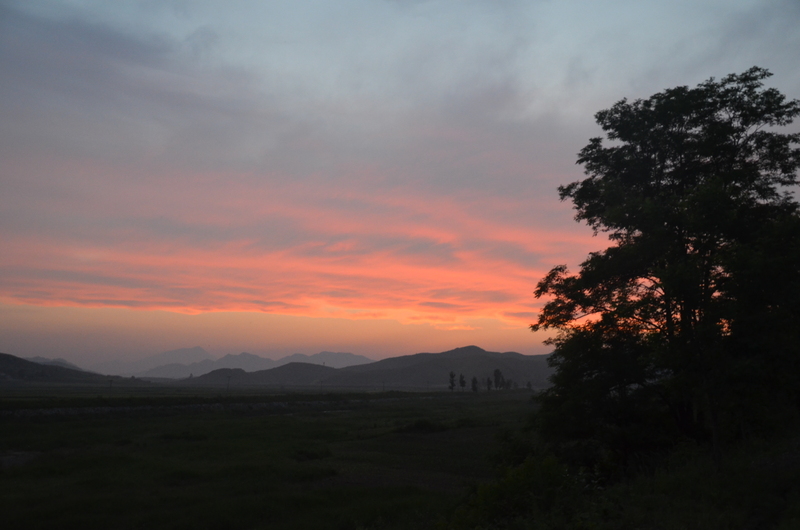 On the way to the DMZ, we saw the most beautiful sunset. 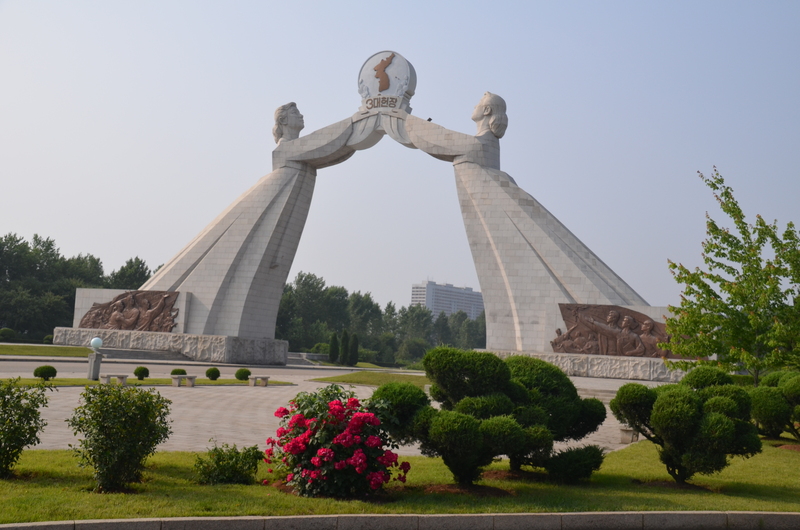 We saw an arch-like monument across the highway between Pyongyang and the DMZ of two ladies joining hands, signifying North Korea’s wish of the two Koreas becoming one. 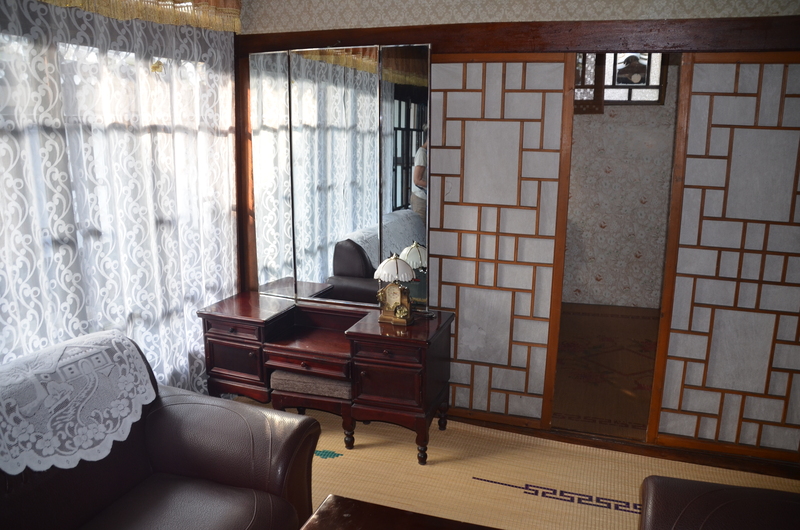 In Kaesong we stayed at the traditional Korean Minsok Folk Hotel, slept on the heated floor and had only cold water, all in the traditional Korean way. Plus, we ate dinner and breakfast sitting on the floor also like the Koreans do. 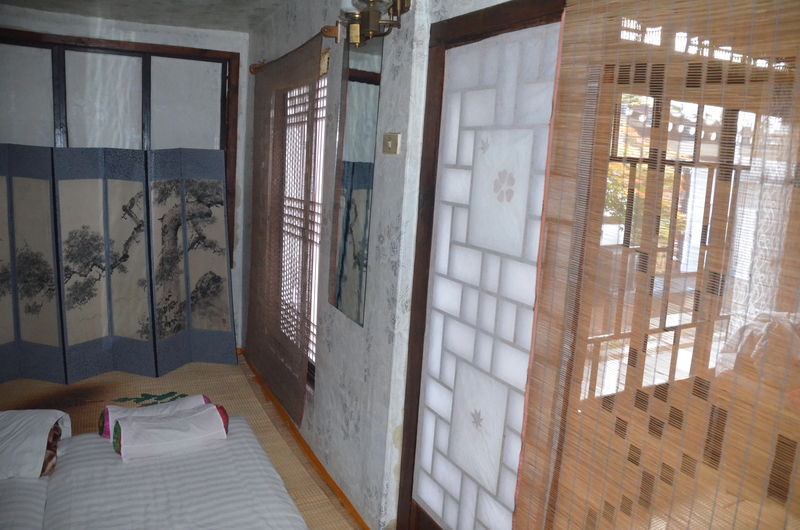 We stayed only one night for our unique Korean hotel experience. 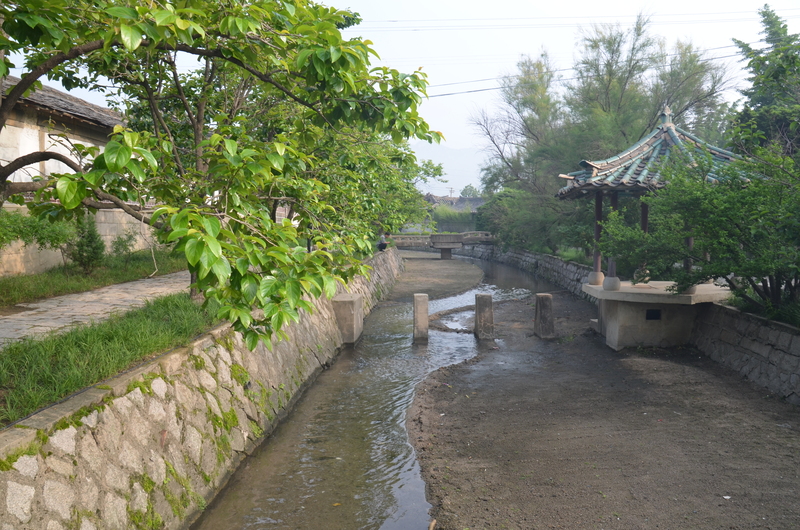 On our walking tour of Kaesong, close to the DMZ, it was like we were observing an old 1930’s movie action scene of people going about their mornings in the city in slow motion. 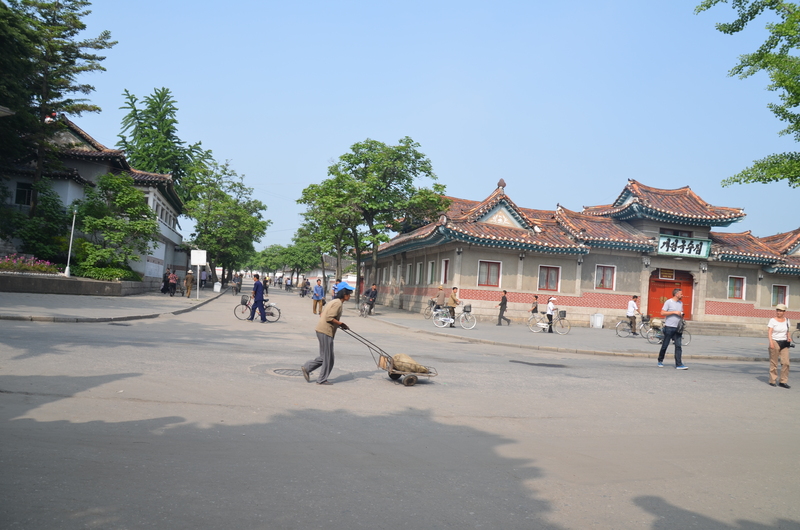 There were no cars on the streets and only a few trucks, bicycles and people pushing carts. 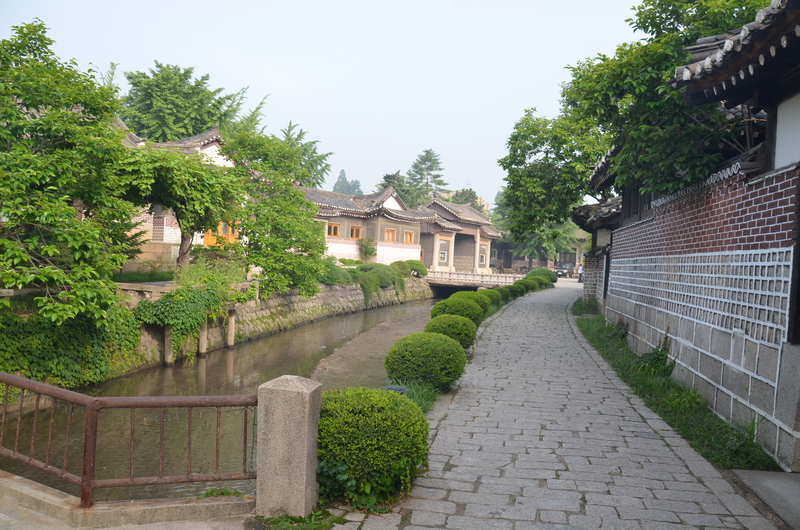 And as we stood and watched the daily street life, we said hello to the Korean people that passed, and they responded with a smile and a wave. 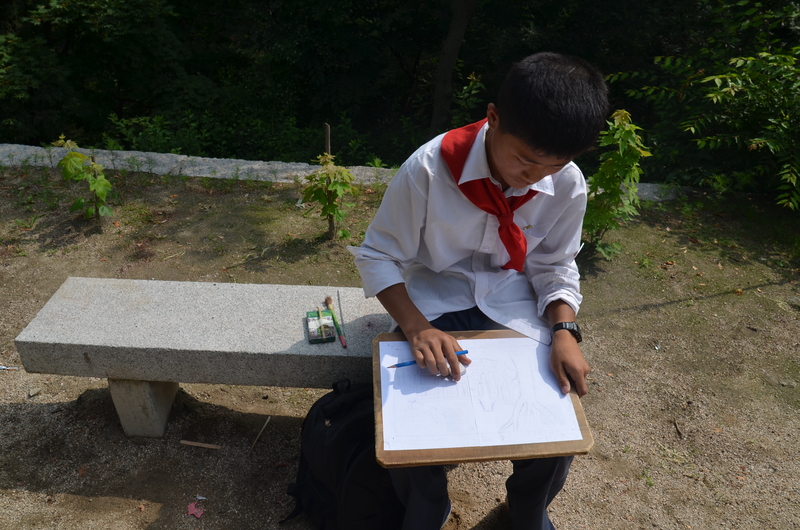 Several of them permitted us to take their photo. 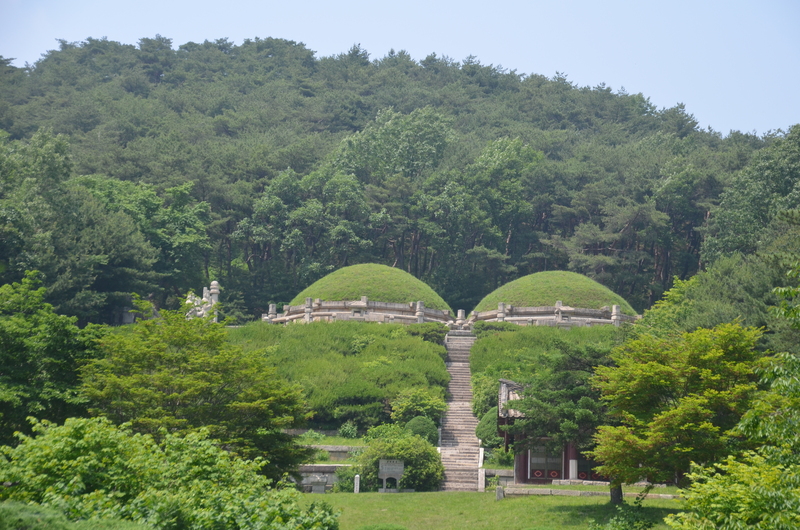 Outside of Kaesong we saw the tomb of King Kongmin from the year 1372 that was two round domes side by side and covered in green grass. 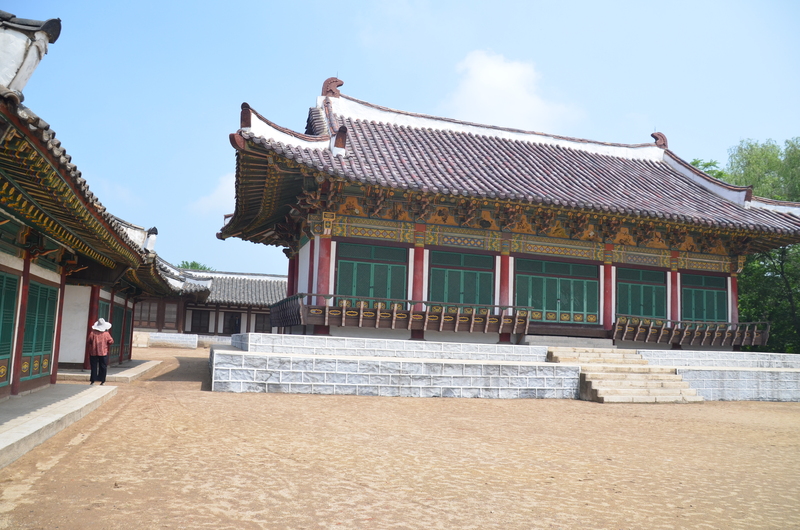 One dome tomb contained the remains of King Kongmin and the other contained his wife. 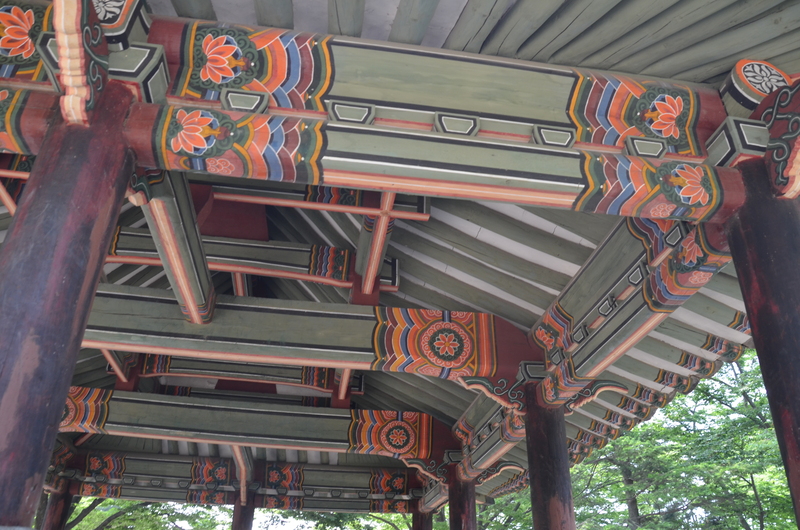 These were not destroyed in the Korean War. 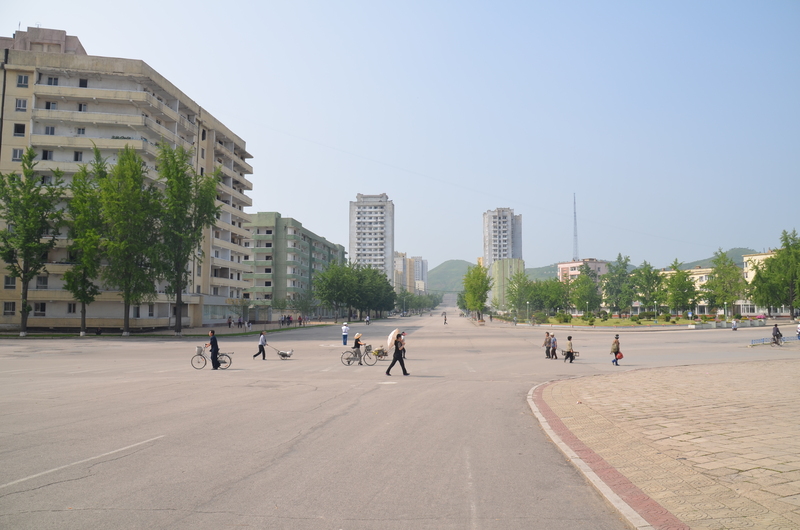 Most buildings in North Korea had been built since the war, many with help from the USSR. 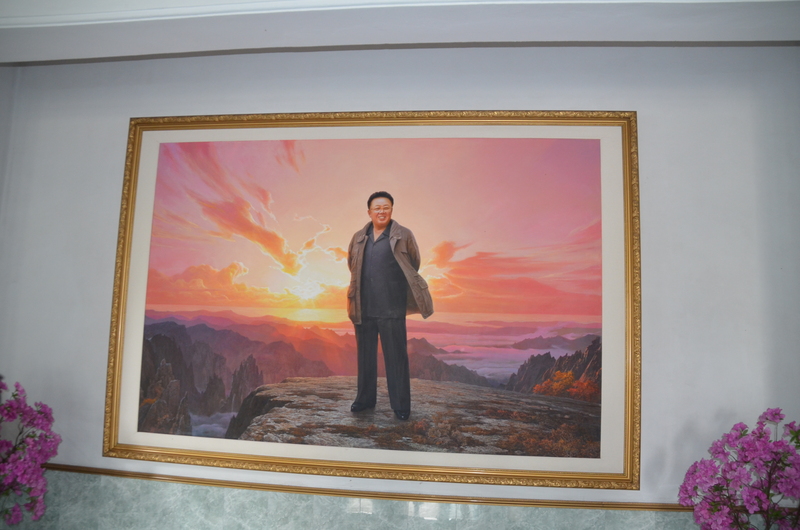 North Koreans have many holidays and celebrations with the Autumn Festival the biggest of all. 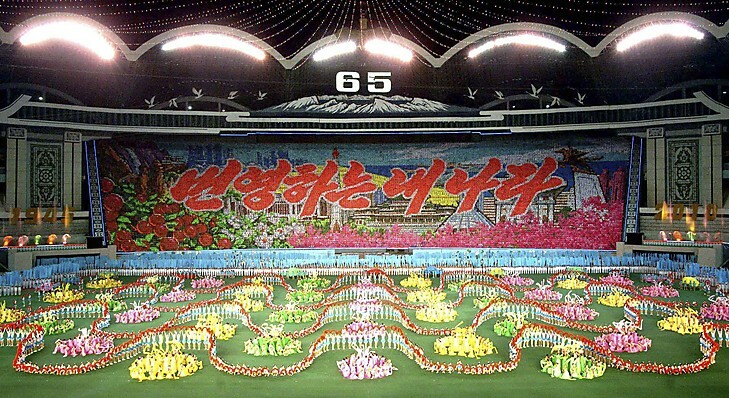 Since 1975, the Arirang Games have usually been held every year from late July to October to celebrate the story of the DPRK. 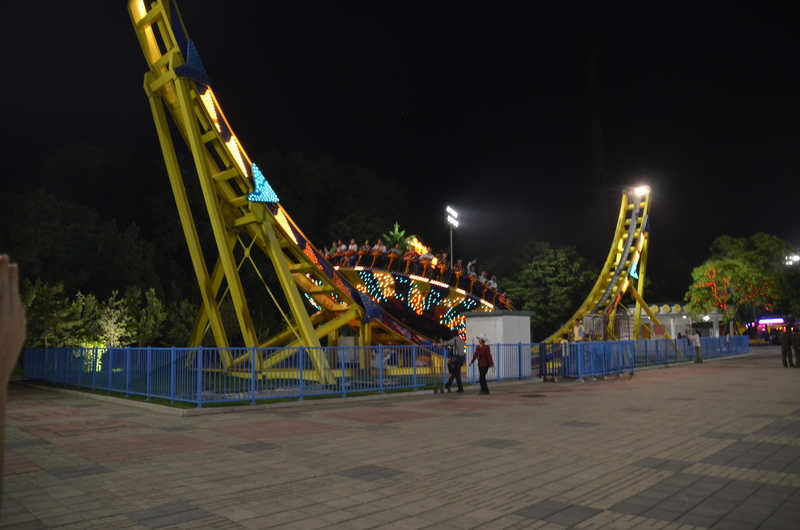 The games are held in the unique architecturally-designed May Day Stadium and are the only performance of their kind in the world. 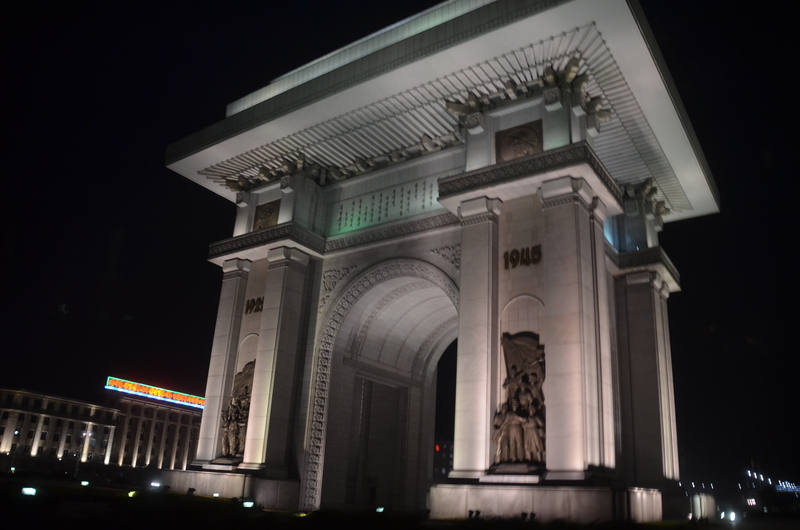 The opening and closing ceremonies of the Olympics in Beijing borrowed elements from the Arirang Games, our Beijing guide told us. 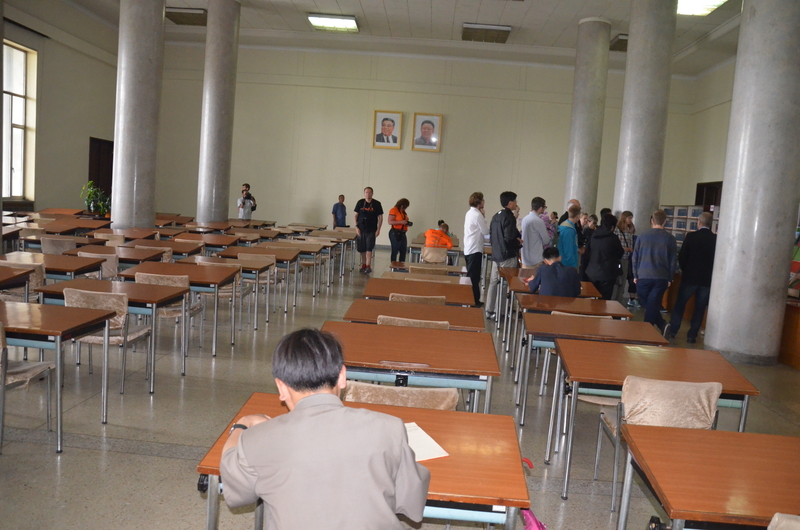 At North Korean weddings the guests eat dog meat as a delicacy. It is served as Dog Meat Soup. 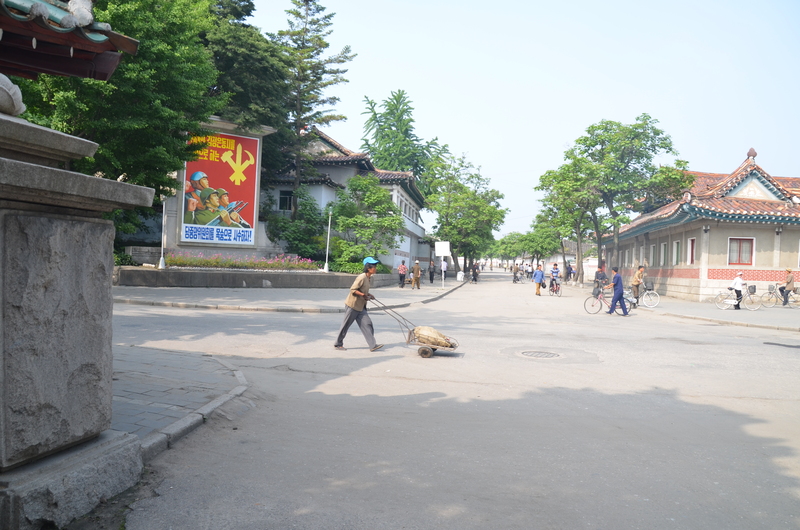 The entire time I was in North Korea, I saw 2 dogs and they were in good condition. A newly married couple eat cold noodles on their wedding day to signify a long life. Honeymoons as we know them do not exist. Each couple pledges to get back to work after visiting family and friends. 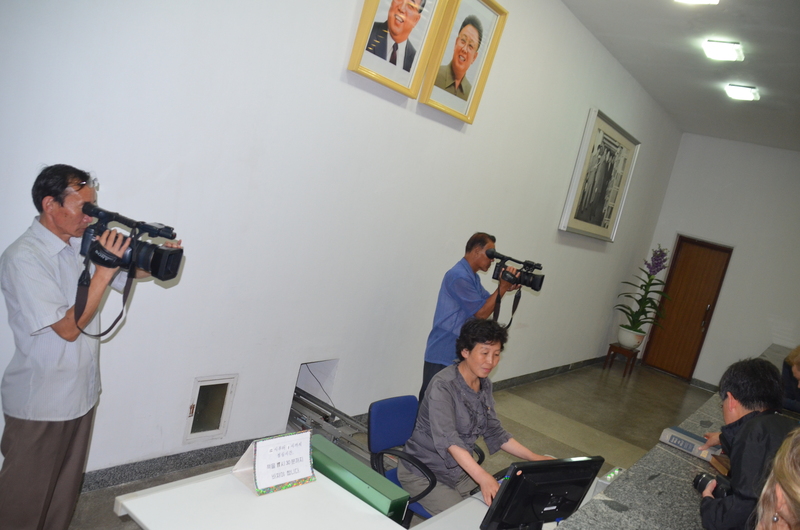 North Koreans work six days a week from 8 am to 6 pm, with Sunday free. After work they practice for the Arirang Games. 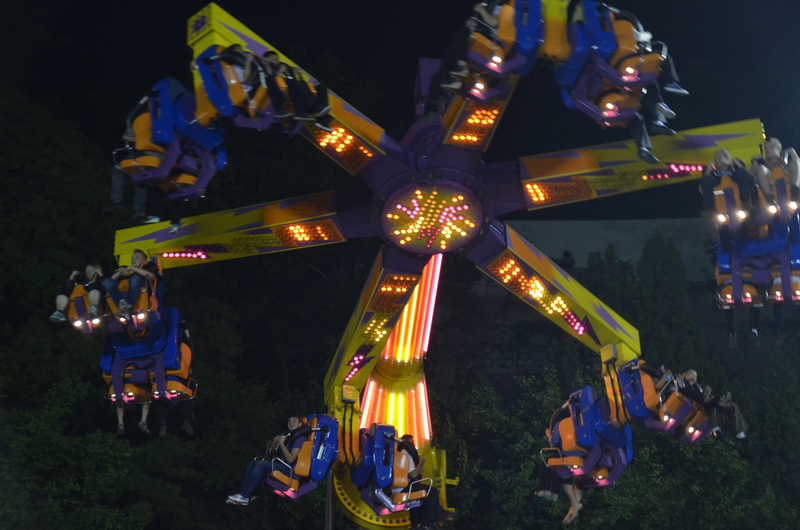 We viewed them practicing one night until 9 pm and we went to the Fun Fair. 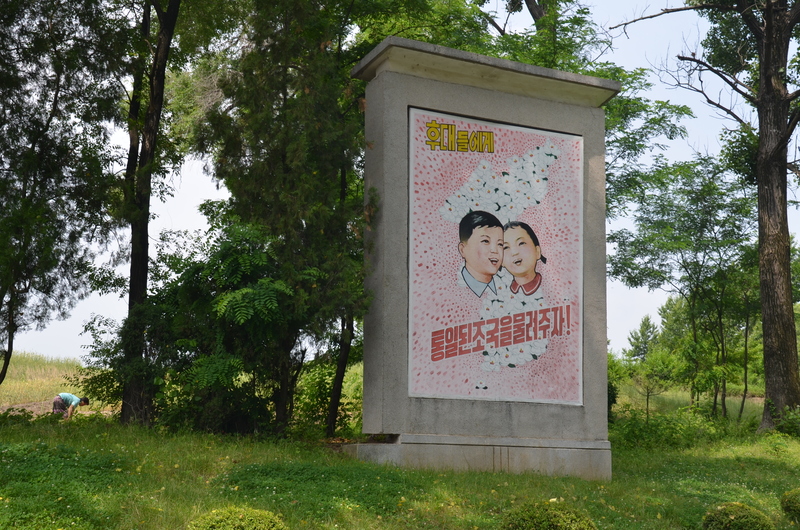 North Koreans love cigarettes and chocolate. 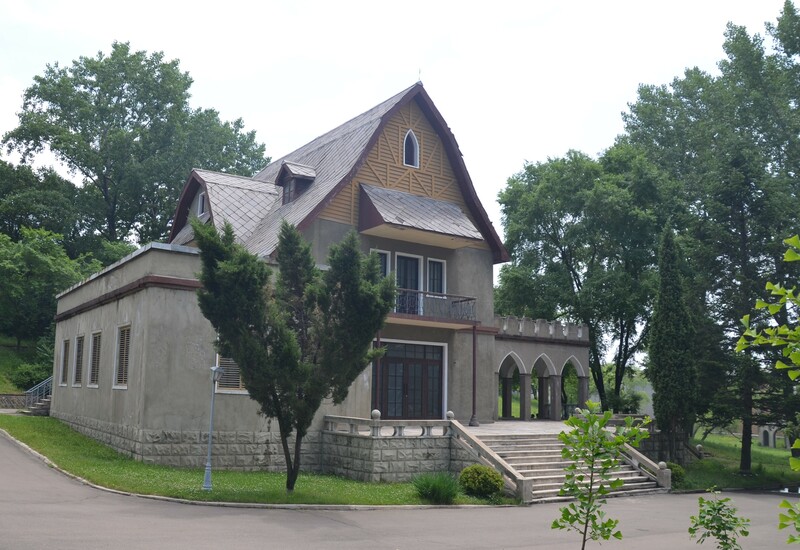 They are very clean in everything except their toilets. When a first child is born, a one-year birthday party is held where objects are placed before the child and the first one the child selects indicates what the child will be in life. The objects the child has to select from are a large spool of thread representing long life, a brush and Korean calligraphy set/pencil and book that indicates a good scholar, a pistol for the military, a book/bow/arrow for boys or a ruler/scissors for girls to indicate dexterity, money/rice/rice cakes for richness, music for a singer, and a knife that indicates the child will be a good chef. 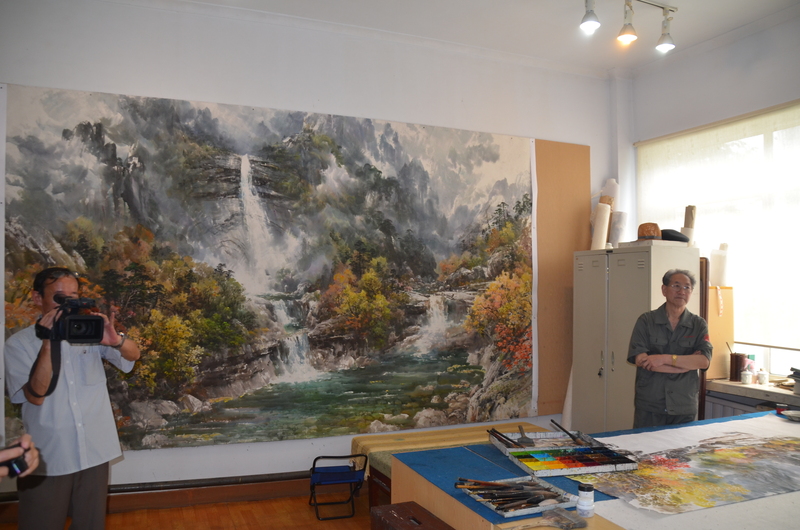 We had the opportunity to visit the Mansudae Art Studio in Pyongyang. 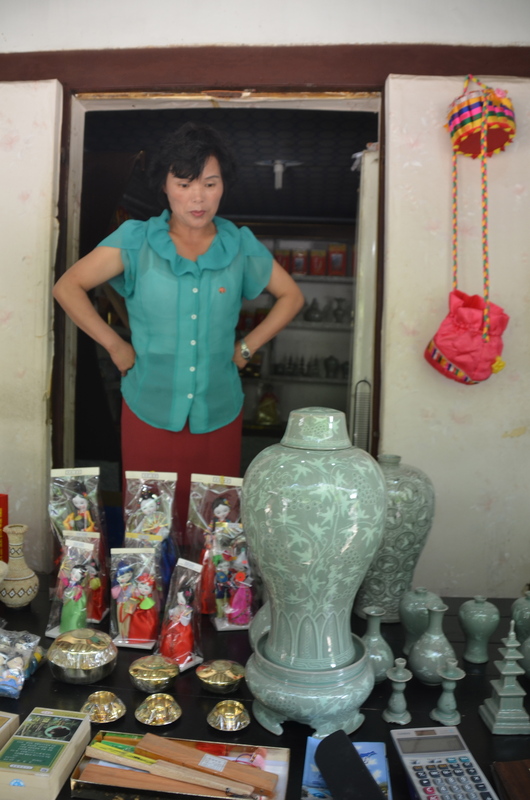 Artisans demonstrate their crafts and offer them for sale. 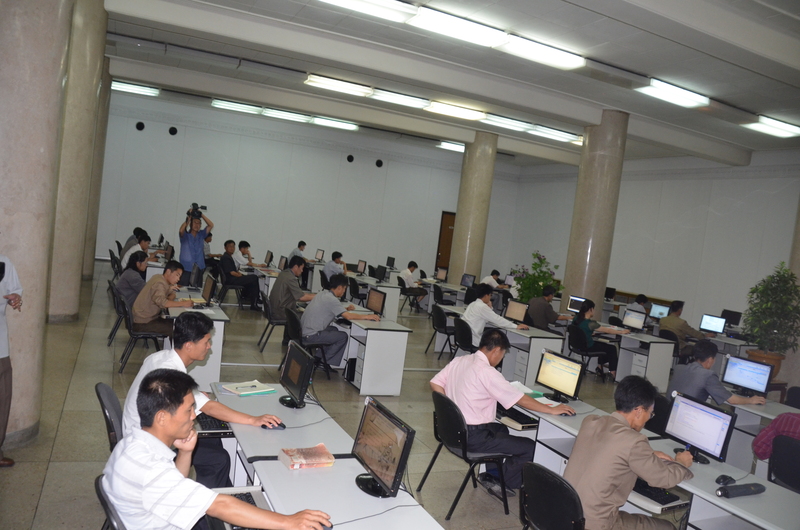 The Grand People’s Study House in Pyongyang is a place for people to come, study and use Dell computers. 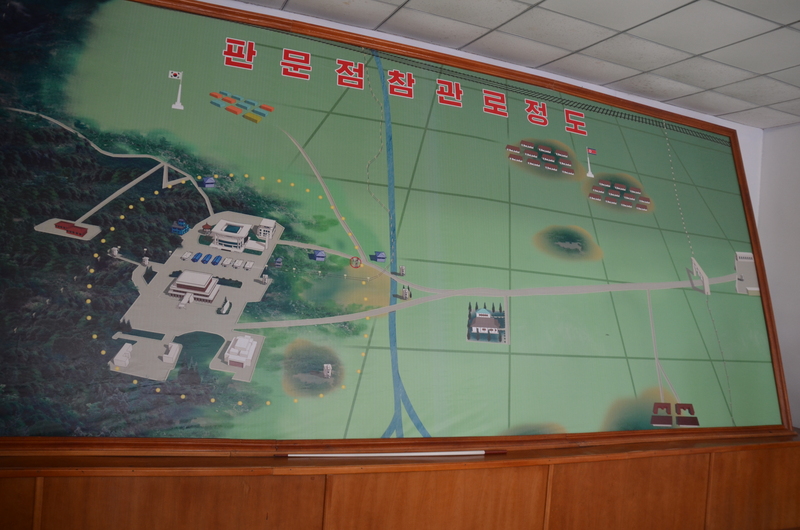 The computers are connected to an intranet that is only within North Korea except for a few permitted foreign websites that are mostly scientific. 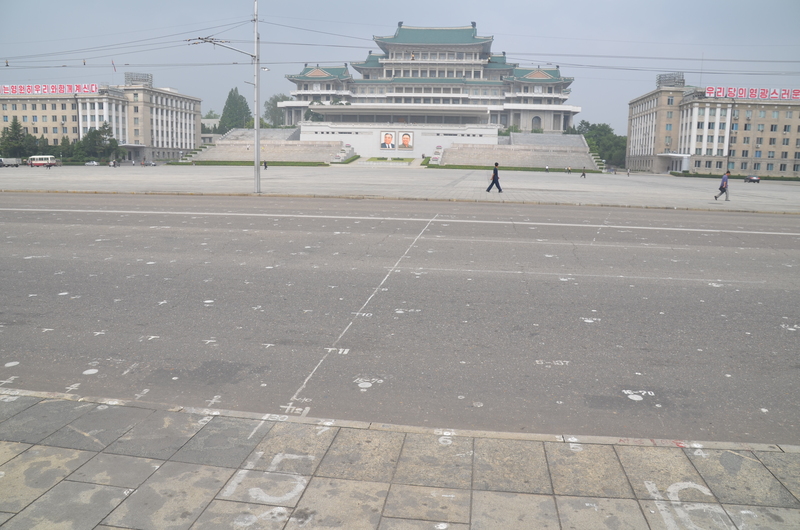 The trip to North Korea was enjoyable. It was an adventure I’ll never forget. Thank you for information and sharing. 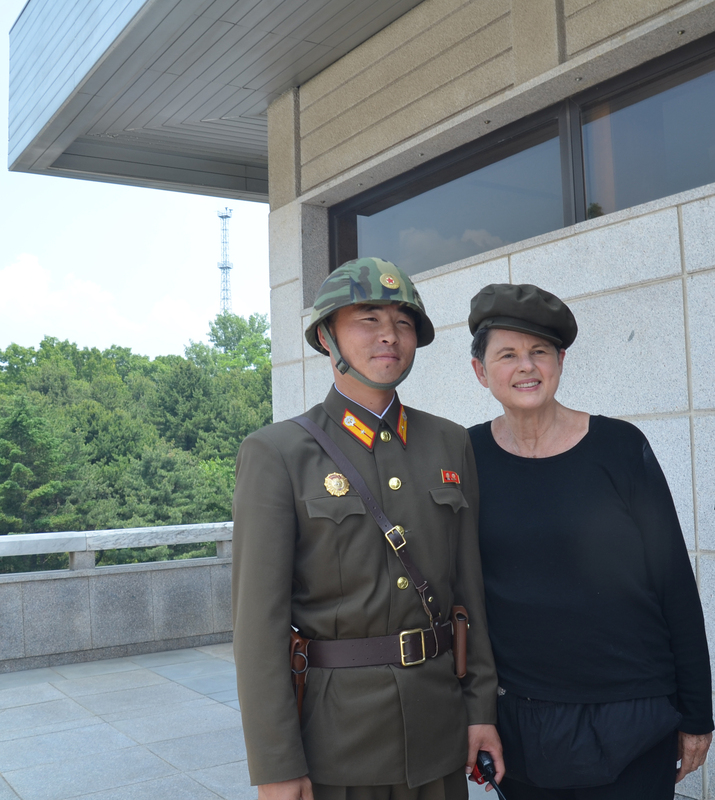 very interested items about north Korea you pointed & thanks a lot for providing about the nation who has to follow imposed roles forcing by military government.